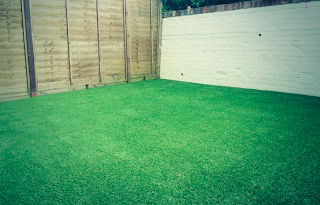 Measuring your garden/area for artificial grass is not as complicated as some would believe. 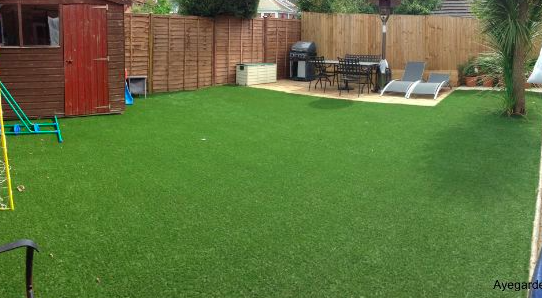 The artificial grass that we install, as an approved Namgrass installer, is produced in 2m and 4m rolls. It helps to know this as you can work out the best way to buy the right amount of artificial grass. An important point to mention is that if you need more than one piece of grass - all the pieces of artificial grass must have the pile lying in the same direction. 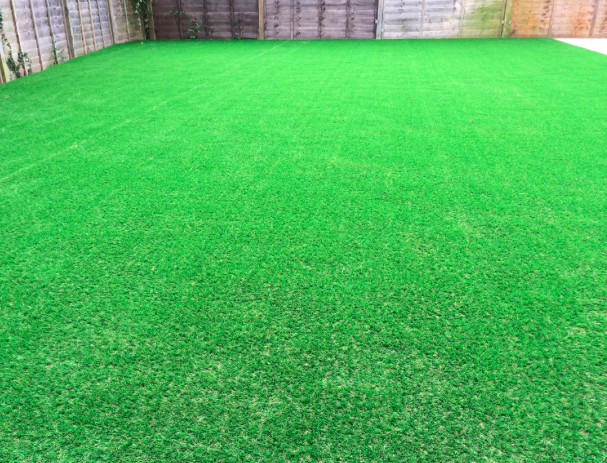 There will also be one way that you mustn’t lie the grass and this will be where the pile lies away from the house – otherwise it will appear shiny. To make it easier to understand how to measure your area correctly we have some diagrams to assist you but they won’t cover every shape possible so please get in contact if you need further help. If more than one measurement of the area goes over 4m you will most probably require a join and will need to purchase more than one piece of grass. We would also advise that you purchase about 5-10cm more than the actual size as this will help when cutting to cut a perfect edge to the grass. 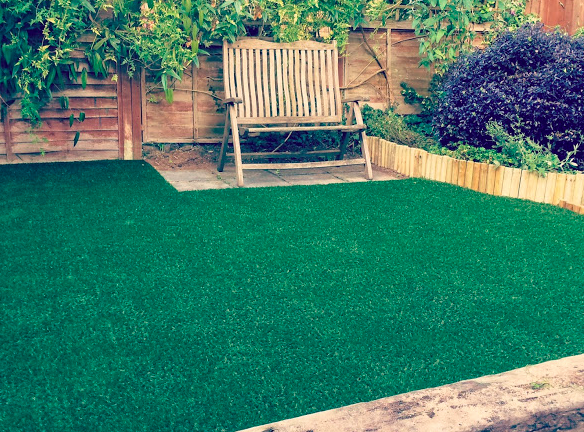 Many artificial grass installers can give you a price per square metre to install the grass with disposal and the correct sub base. This will be based on the area size and will include all labour, disposal and materials. 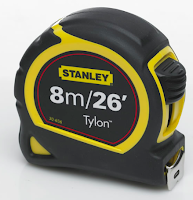 Secondly, you will also need to know the measurements so the correct sizes can be purchased and whether it will be from a 4m roll, 2m roll or both. 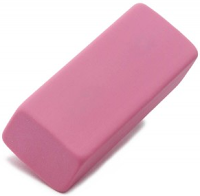 Measuring a square or rectangular shape will be easy. 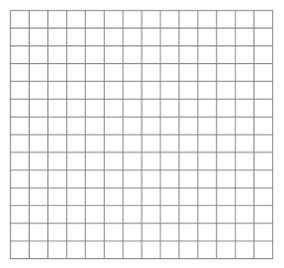 Take the measurement of the longest width and length and multiply it to get the total square metres. In the case above the area is 3m x 3.5m = 10.5 square metres. However, the grass will need to be purchased from a 4m roll that is 3m long. 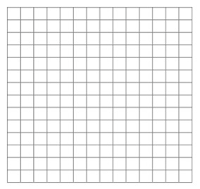 Which will result in a 12 square metre piece. 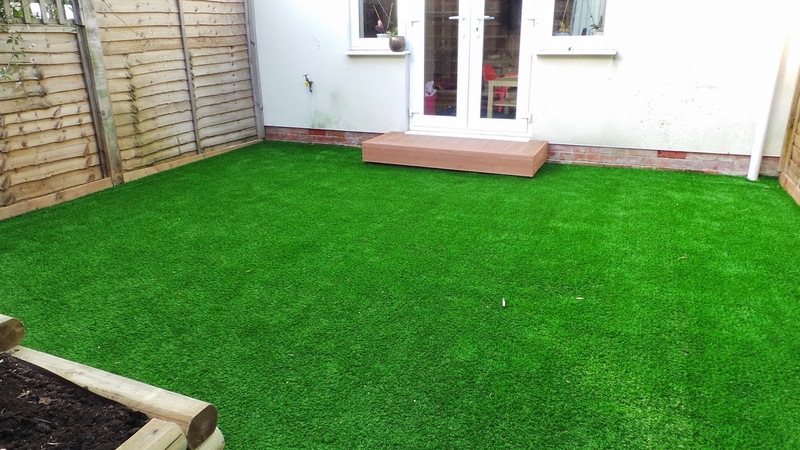 If the basic shape of your lawn is a rectangle or square that has certain parts cut out – like a shed base or flower bed etc then you still measure it as the first example. 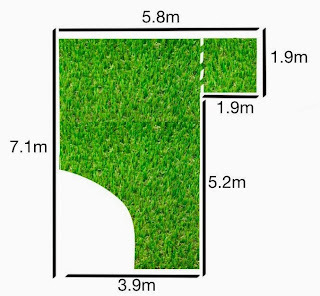 There will be some offcuts in this example. 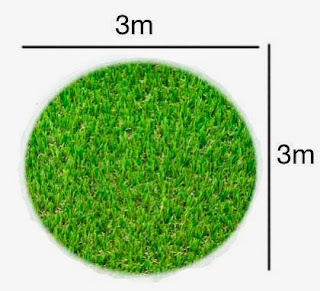 With a round garden it is possible to measure the area using a formula however for the purposes of artificial grass we need to measure the longest length by the longest width as there will be a lot of cutting needed to create the round shape. 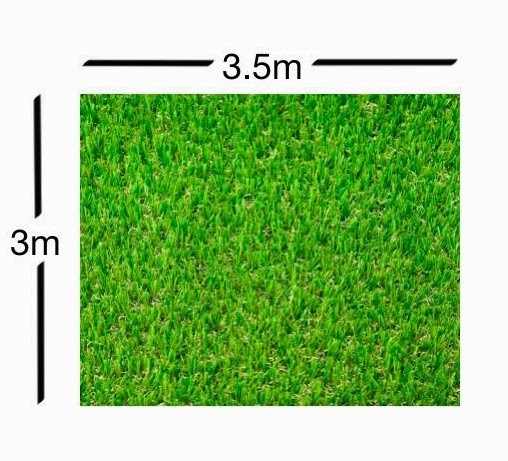 In this example the amount of grass needed would be 3mx3m = 9sqm however this would equal one 4m piece by 3m. 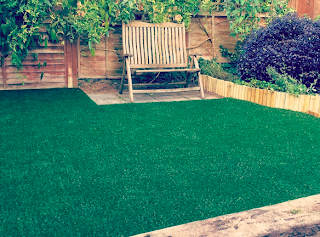 However, sometimes it is possible to be clever and use offcuts from some places to install in other parts. 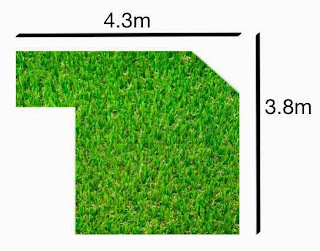 In the case of above it would be possible to use the offcut from the bottom left for the top right piece. Saving money! Which is always good. If you need any more help then please do get in touch with us.